BRATECK Ergonomic Anti-Fatigue Standing Mat. Anti-Slip Surface. BRATECK Ergonomic Anti-Fatigue Standing Mat. Anti-Slip Surface. Trip-Resistant Beveled Edge. Stimulates Blood Circulation and Provides Sole Support, Reduce Fatigue. Dim''s. 610X900X19mm. BRATECK Sit-Stand Desktop Workstation Stand. Electric assist. BRATECK Sit-Stand Desktop Workstation Stand. Electric assist. Height adjustable 156-485mm Work surface size 800x400mm (LxW). Work surface weight cap. 20kgs. Colour White. BRATECK Table Top for M02-23R, 1800 x 750mm. 25mm Thick. BRATECK Table Top for M02-23R, 1800 x 750mm. 25mm Thick. WHITE Colour. BRATECK Table Top for M02-33R, 1800 x 1800mm. 25mm Thick. BRATECK Table Top for M02-33R, 1800 x 1800mm. 25mm Thick. WHITE Colour. BRATECK 17-27' Dual monitor desk mount. Sit/Stand workstation BRATECK 17-27'' Dual monitor desk mount. Sit/Stand workstation Compatible. Max load 7Kgs. Supports VESA 75x75 & 100x100. Rotate, tilt and swivel. Colour: Black. 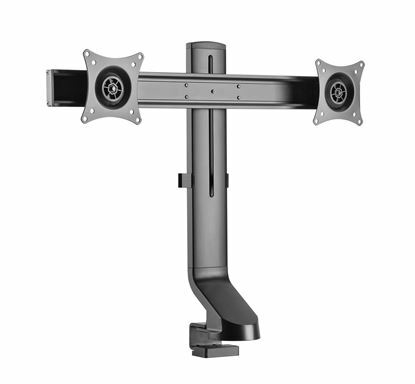 BRATECK 17-32' Monitor desk mount. Sit/Stand workstation compatible. 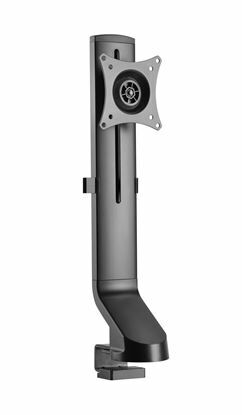 BRATECK 17-32'' Monitor desk mount. Sit/Stand workstation compatible. Max load 8Kgs. Supports VESA 75x75 & 100x100. Rotate, tilt and swivel. Colour: Black. BRATECK Deluxe Cable Management Spine. SILVER Colour. BRATECK Deluxe Cable Management Spine. SILVER Colour.